If you have diabetes, you probably already know that the condition affects just about every major organ and tissue in your body, and your mouth is no exception. Take this quiz to find out how much you know about how diabetes affects your oral health. 1. How does diabetes make gum disease worse? More than one answer may apply. A. It encourages bacteria to grow. B. It raises blood sugar. D. It causes plaque to grow. 2. 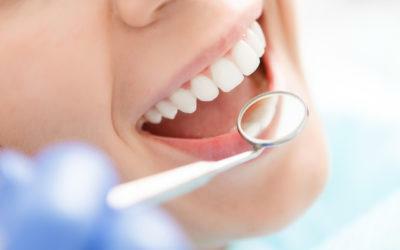 What are some signs and symptoms of gum disease? More than one answer may apply. 3. Which of the following is an often-overlooked symptom of undetected diabetes? 4. Which of the following is the most severe form of gum disease? 5. True or false: People who have diabetes should have dental check-ups more frequently than people who do not have diabetes. 1. A, C, D. As you already know, diabetes usually develops when the body loses the ability to take glucose up into the cells or the remaining beta cells of the pancreas that have not been destroyed cannot produce enough insulin to stimulate glucose uptake into bodily tissues. According to the National Institute of Diabetes and Digestive and Kidney Diseases, not only does having diabetes increase levels of glucose in your blood, but it causes glucose levels in your saliva to rise, too. Excess glucose in the saliva creates an ideal breeding ground for bacteria that cause plaque buildup and gingivitis. This can lead to more serious conditions, including gum recession, in which the gums pull away from the teeth, tooth decay, and infections. 2. A, B, C, D. In addition to loose teeth, bad breath, painful gums, and gum recession, tender or sensitive gums are additional challenges. Gingivitis, or inflammation of the gums, causes gums to appear red and swollen. Some patients may experience bleeding or discomfort. Gingivitis is an early stage of periodontal disease, but the good news is that it is reversible when caught early. However, left untreated, the condition can develop into more serious forms of gum disease. According to the Mayo Clinic, gingivitis is generally easy to prevent when you develop good oral hygiene habits by brushing and flossing your teeth twice a day. Along with regular dental check-ups and cleanings, these healthy habits help to remove and prevent plaque buildup. Since diabetes increases the risk for plaque development, twice-daily self-cleanings are perhaps one of the most important preventative steps you can take to keeping a healthy mouth (aside from keeping your blood sugar in check). 3. C. According to the National Institute of Dental and Craniofacial Research, dry mouth is perhaps the most commonly overlooked symptoms of diabetes that has gone undetected. Xerostomia, or dry mouth, can lead to many complications in oral health, including tooth decay, tooth loss, ulcers, infections, and sore mouth. And smoking makes all these problems worse. 4. D. Although generally mild compared to more severe forms of gum disease, gingivitis is usually the first sign your mouth and gums are in trouble. While gingivitis can cause gums to bleed when brushed or flossed, bleeding is more severe when brushing, flossing, or having your teeth cleaned in early periodontitis. Different sources classify the stages of periodontitis differently, but the is one key commonality: Damage to gums and teeth that occur in periodontitis is irreversible. Such damage also includes bone loss, which may occur as the gums begin to pull away from the teeth and gums recede. Bone loss often worsens in moderate periodontitis along with bleeding and irritation, and the gums may develop pockets of pus. By the time periodontitis reaches the advanced stage, gums have significant recession, making simple tasks such as chewing and eating extremely painful and laborious. 5. True. While the National Institute of Diabetes and Digestive and Kidney Diseases recommends people who have diabetes see their dentist twice a year inspect the health of their mouths and teeth, some dentists may ask patients who have more serious conditions to make more frequent visits. Frieda Wiley, PharmD, BCGP, RPh, is a freelance writer and consultant pharmacist who calls the Piney Woods of East Texas home.